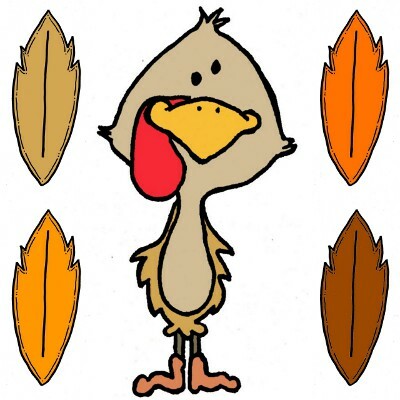 I created a cute mini clip art set of a turkey with feathers... And guess what?? This little goodie is FREE!!! Yes!! Just a thank you from me for following my blog!! I have a really great giveaway planned when I have 300 followers with fantastic items from top teacher bloggers. Just wait and see, it will be FABULOUS!! The turkey freebie is available in my dropbox file. It is in zip format. There are 2 turkeys and four feathers in the file. I also have decided to participate in a mini sale this weekend. Whoooo! Thank You, so much! So cute! Exactly what I was looking for!! I am your newest follower! Do you still need any help with your giveaway? If so, I can contribute. Just email me! Thank you so much, I will email you!!! Thanks so much for the cute Thanksgiving clipart! I'm your newest follower. Congratulations on 300 followers!! Only 2 more to go to reach 300! Congrats! Thanks for the clip art. The turkey is adorable! I'm follower 299! One more to go! Your clip art is adorable! I teach 3rd but I have THE most respect for you Kinder teachers! Thanks for sharing!